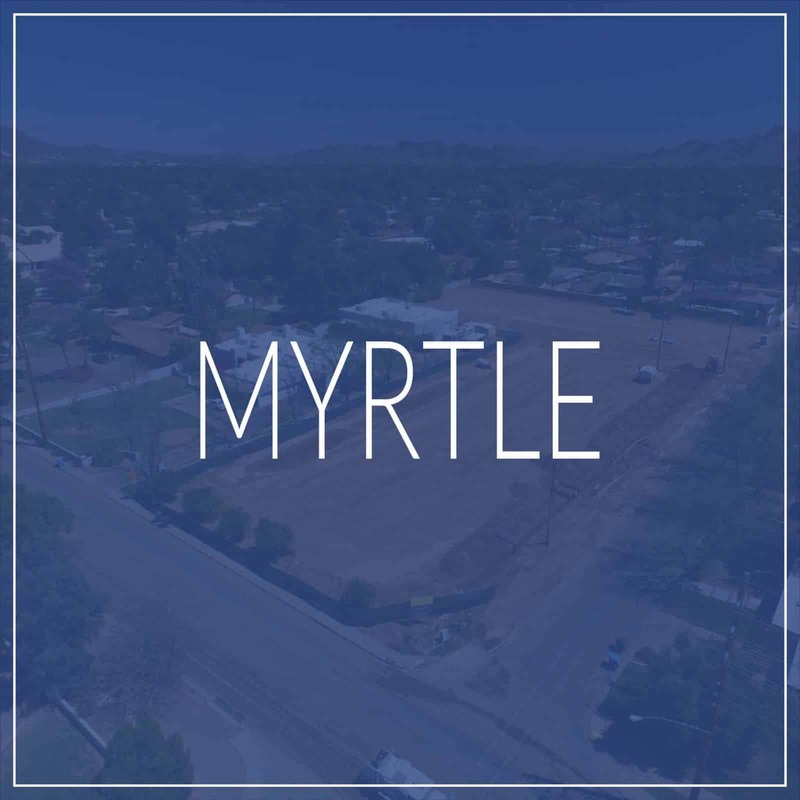 This exclusive property is located in North Central Phoenix at 15th Avenue and Myrtle and only 2 of 6 lots remain so act quickly! It is less than a 20 minute drive to Downtown Phoenix, several art and children’s museums, Chase Field and Talking Stick Resort Arena, fantastic restaurants, shopping destinations, beautiful golf courses, Gammage Auditorium, and is less than 15 miles to Phoenix Sky Harbor International Airport. What else could you need? Move in and you’ll quickly find a favorite restaurant as well as a favorite weekend activity. There are 4 unique floor plans on estate sized lots ranging from 2,498-4,058 square feet with each floor plan featuring a 3 car garage, distinctive interior, and exterior architectural details. These are beautiful luxury homes in a quality neighborhood. Contact Bobby Lieb (602.376.1341) with Homesmart Elite and he can get you set up with a lot reservation.